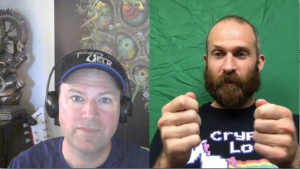 CHRIS STARTED MINING IN 2011 AND IS AN AVID GPU MINER. CURRENTLY HE IS MINING A PLETHORA OF SHITCOINS. 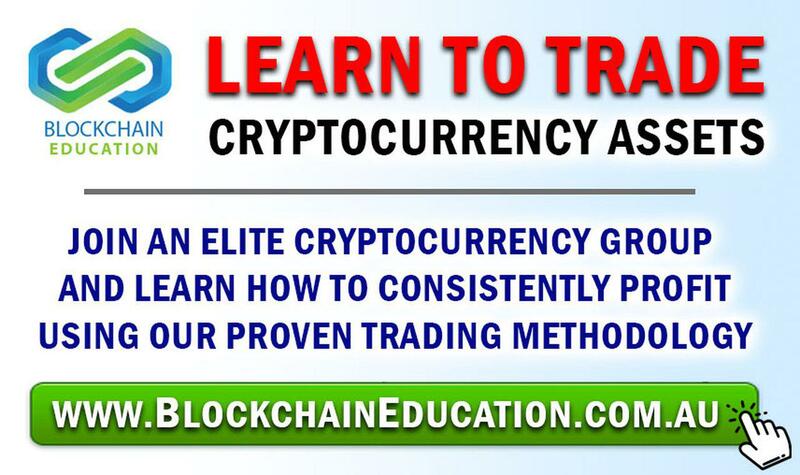 Chris is a prominent figure in the Crypto Mining space. He started off building custom gaming PCs in 2003, and ventured into GPU mining in 2011, when he started mining bitcoins on a 2-card gaming computer when he wasn’t playing. 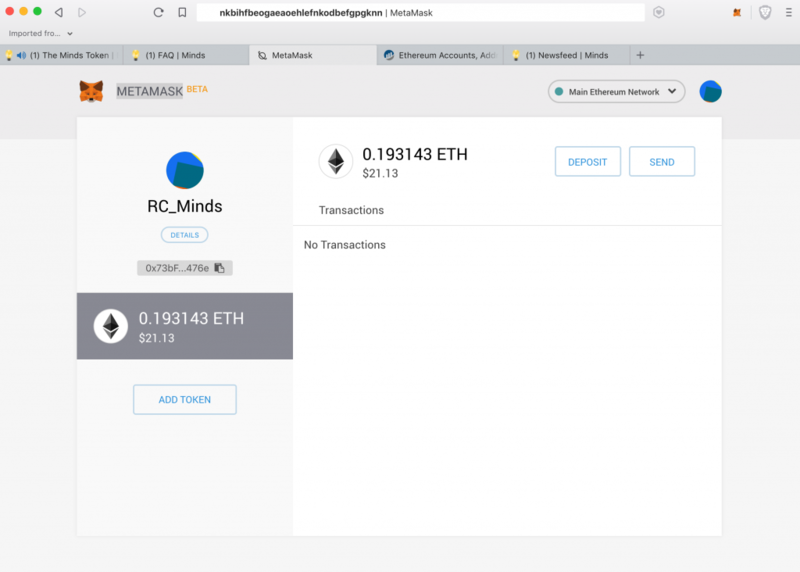 By 2012 he had transitioned into building complete rigs designed specifically for mining cryptocurrency. Through time and task, Chris is recognized as a powerful source of mining information and one of the most experienced miners of cryptocurrency in the world. 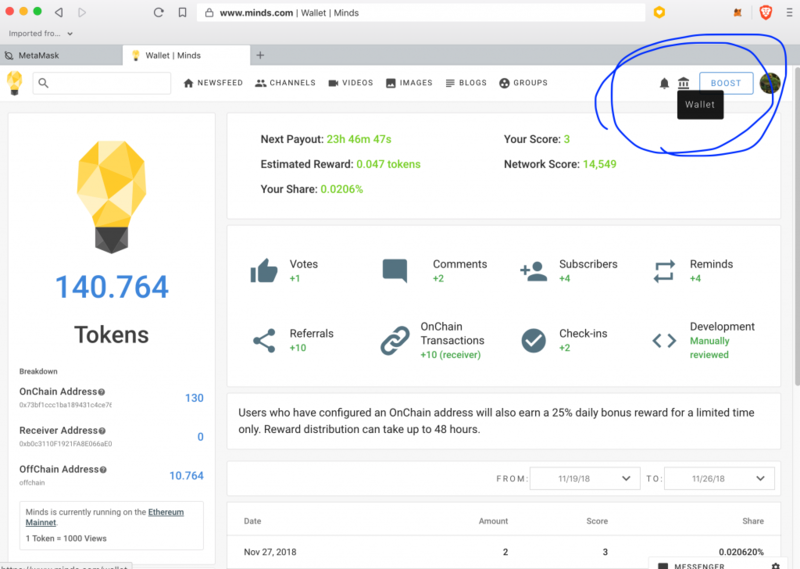 With the recent launches of Veil and Beam, a new batch of miners have tried to jump into the foray of spec mining. Here’s the truth of the matter. 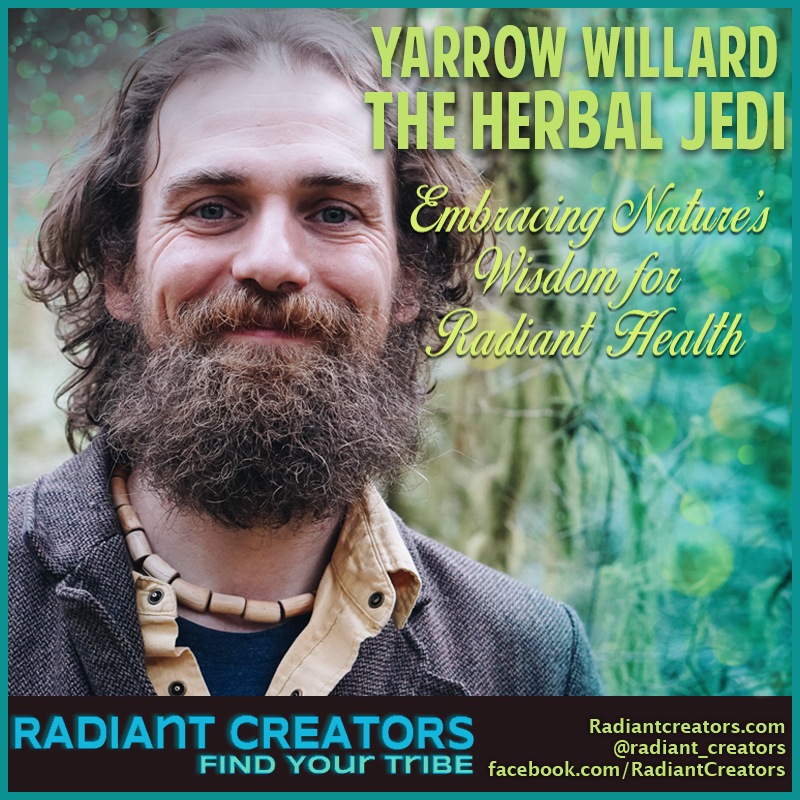 Yarrow Willard is a Clinical/Master Herbalist and co-visionary of the Harmonic Arts Botanical Dispensary. 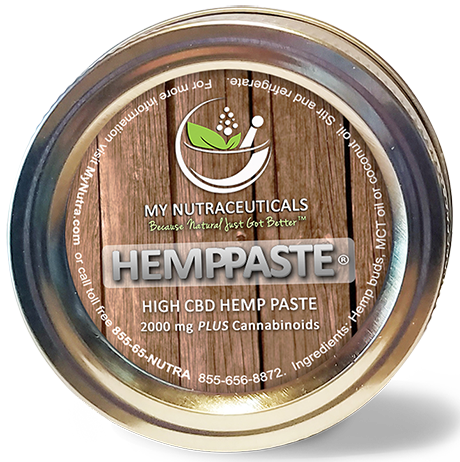 Raised by herbalist parents, he has been immersed in the world of plant medicine since before he was born and is continually updating his knowledge with the growing edge science of re-claiming wellness. Yarrow shares health empowering practices and teachings through advanced nutrition and cultivating a deeper connection with the natural world. 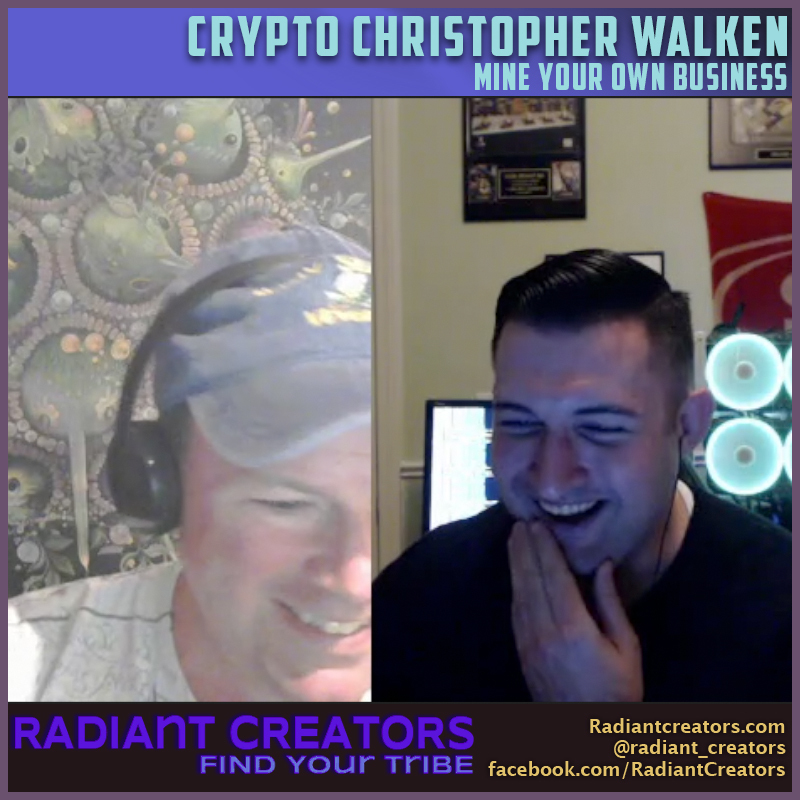 We have Crypto Love on the show again. 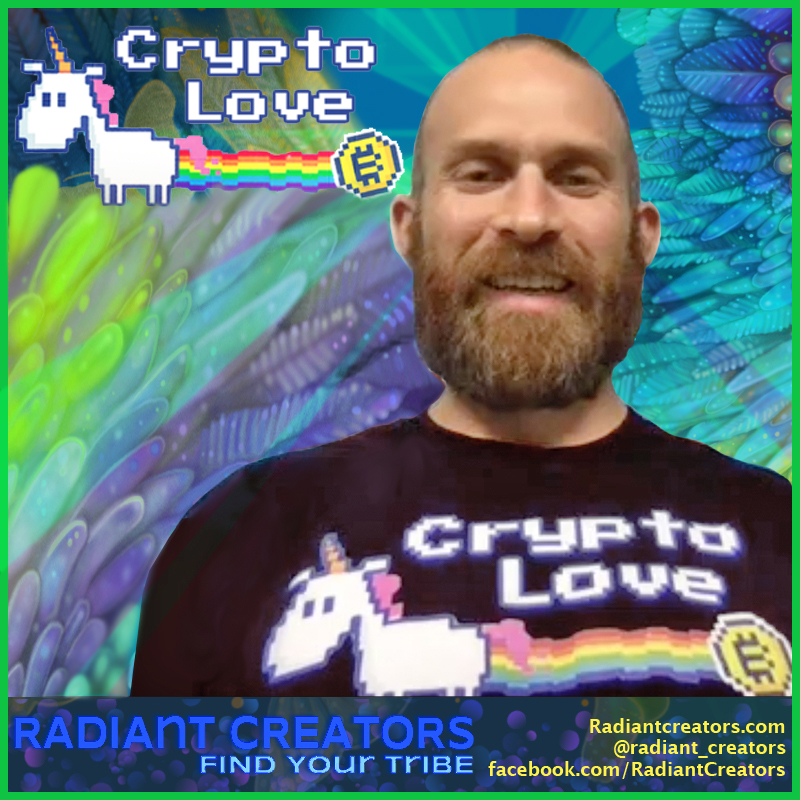 Crypto Love took time off from his popular crypto YouTube channel to “re-find his excitement” and become a new improved version. 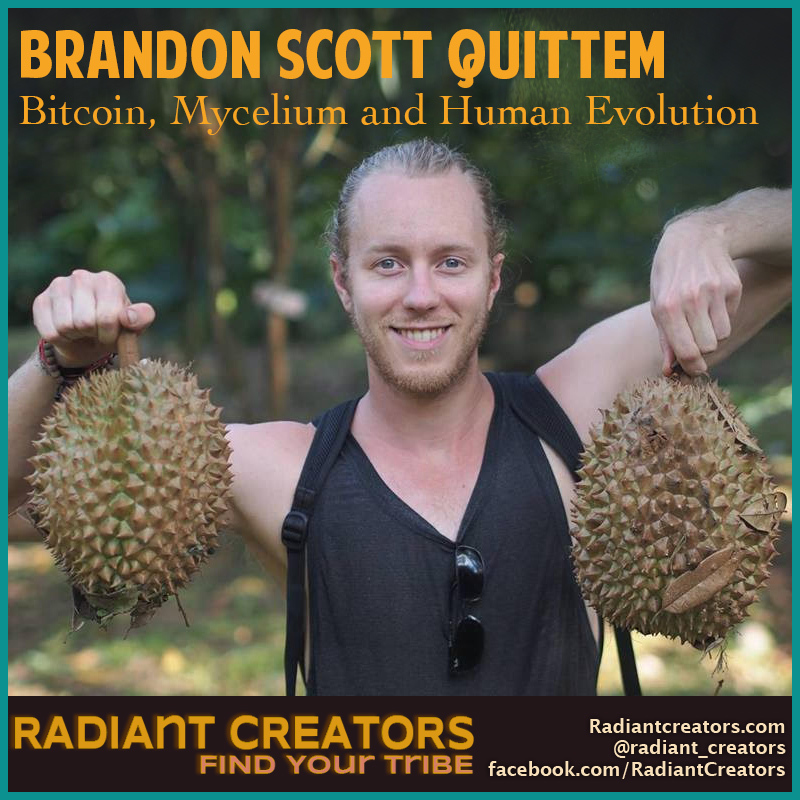 Recently wrote an article that is finding great interest comparing Bitcoin and Mycelium. 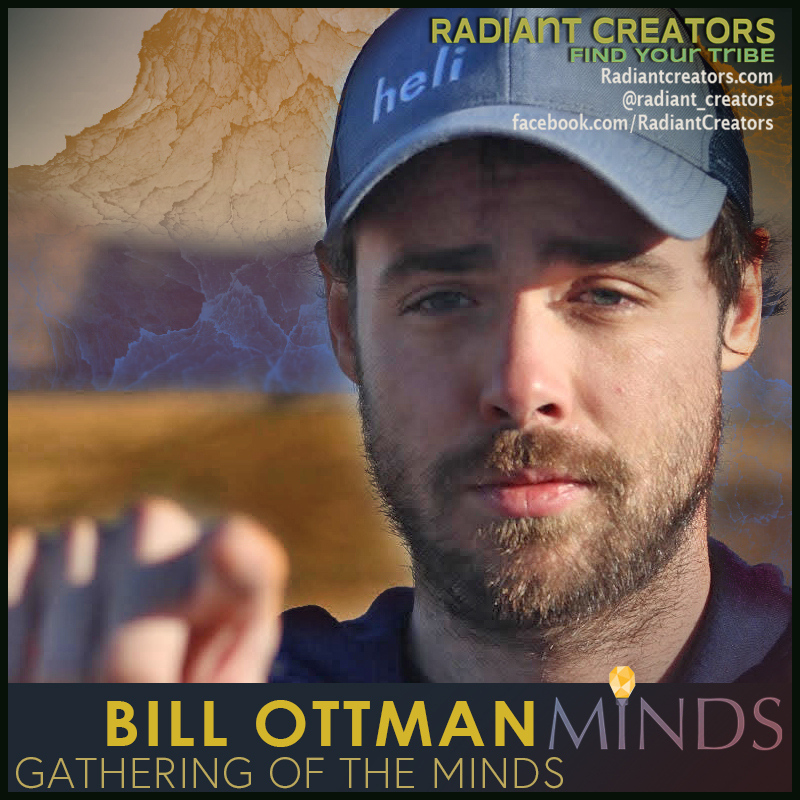 CEO of Minds.com Bill Ottman in conversation with Radiant Creators & Hester of Alternate Current Radio in a special collaboration. 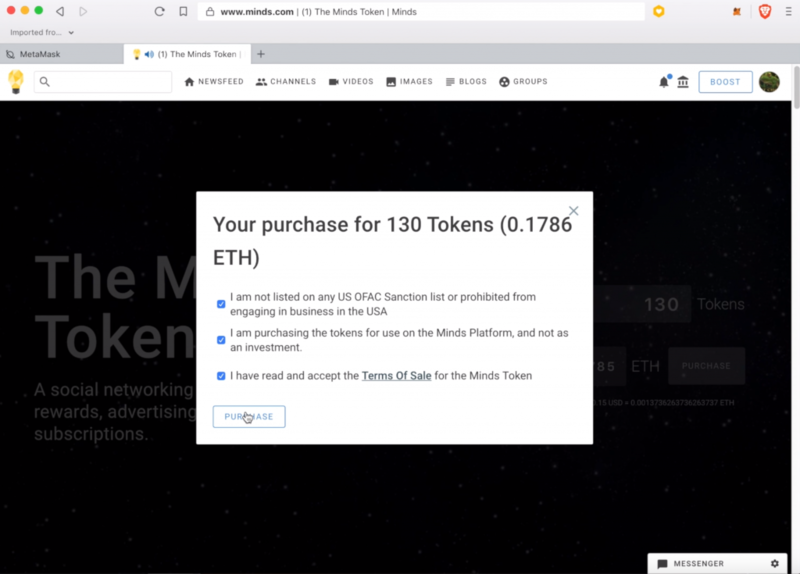 We cover many topics including new features coming to Minds soon, prominent and increasing censorship in mainstream media and social media, Bills motivations in creating Minds, security of user data, and how censorship driving new users to Minds. 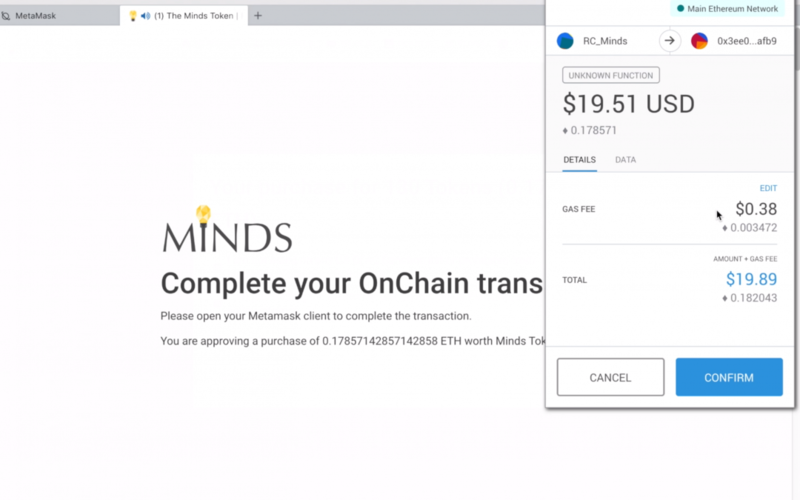 The new features coming are game changers and can be downloaded from GitHub for those interested in an early checkout. One of features to Minds.com are Jitsi a video conferencing system similar to Skype. 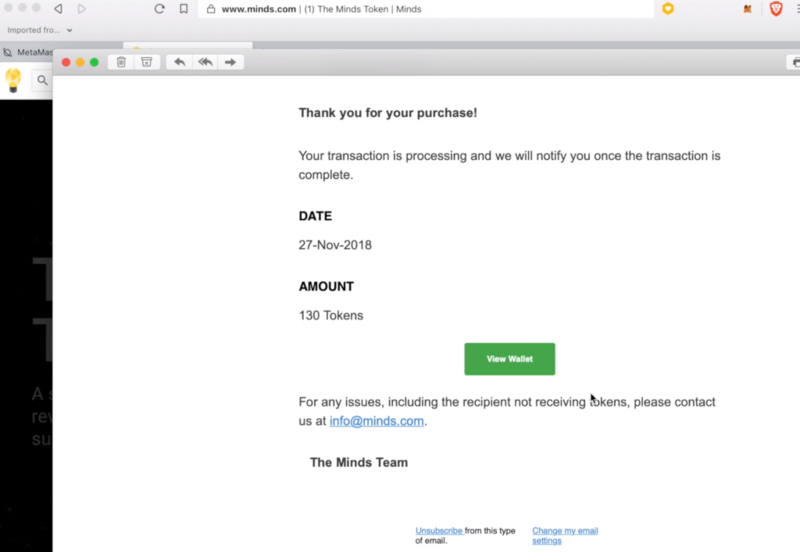 Radiant Creators believes Jitsi will “Killer App” that grows the Minds platform greatly. 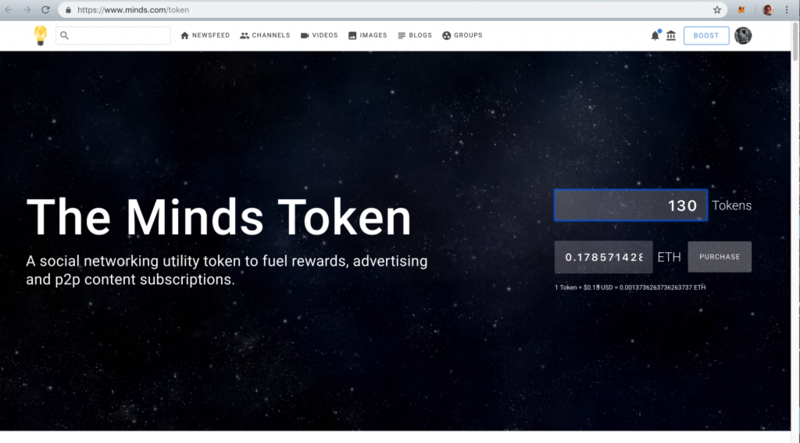 Another is Nomad Nomad a decentralized social network. 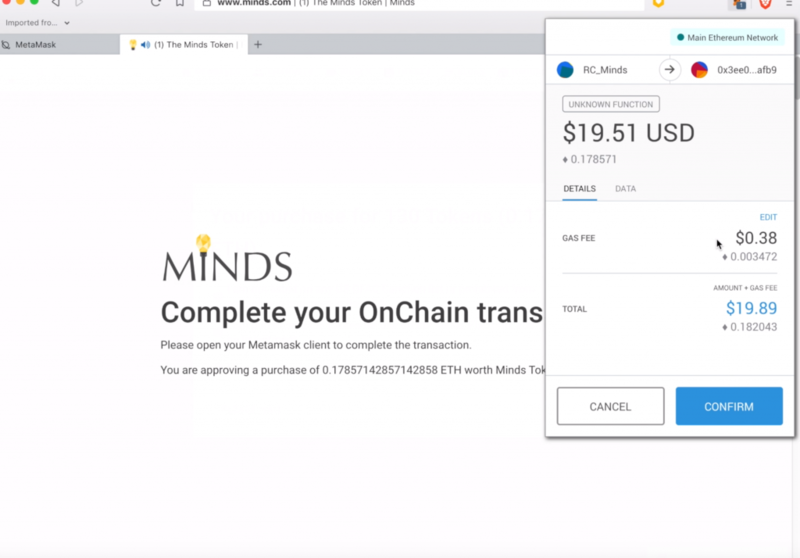 No centralized servers are required in order to communicate with nomad. 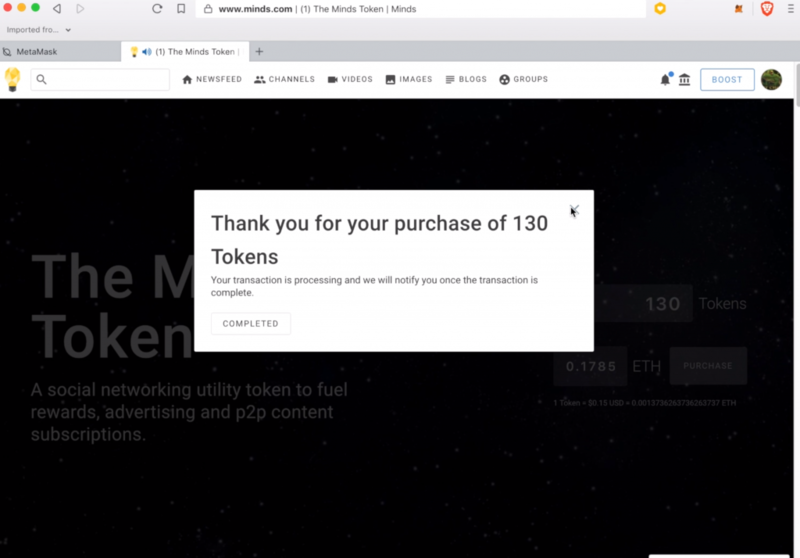 Nomad would use an ETH wallet address as user ID and truly be “Social Media on the Blockchain”. 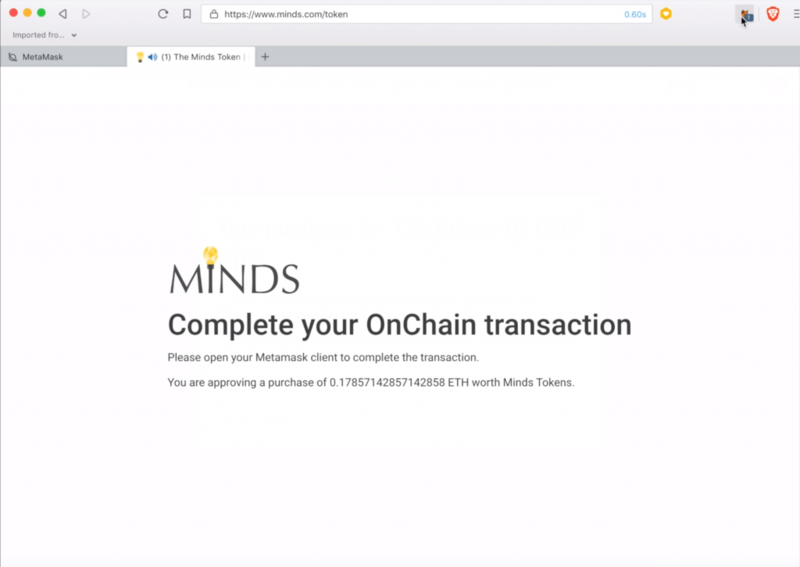 Something every special about Minds.com is it can be downloaded and run independently. 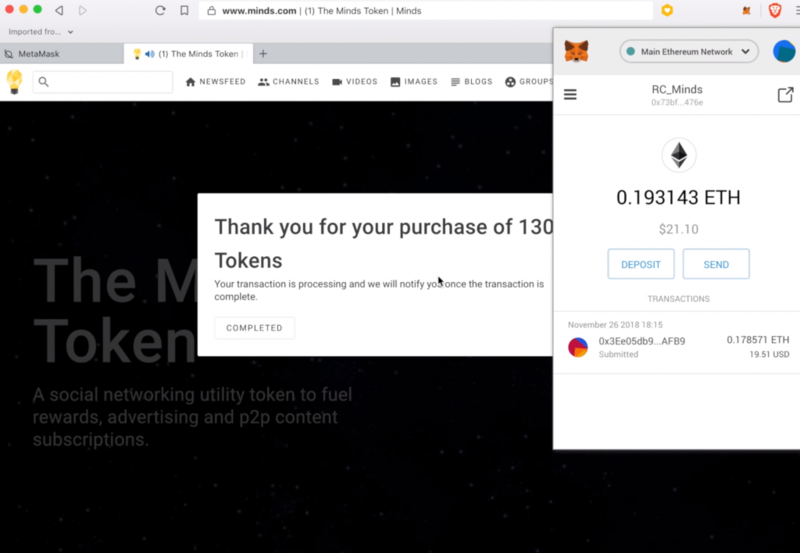 All the code is open source and can be reviewed and implemented by users. Today we visit with Case Parks at Bell Rock Vortex in Sedona, AZ. 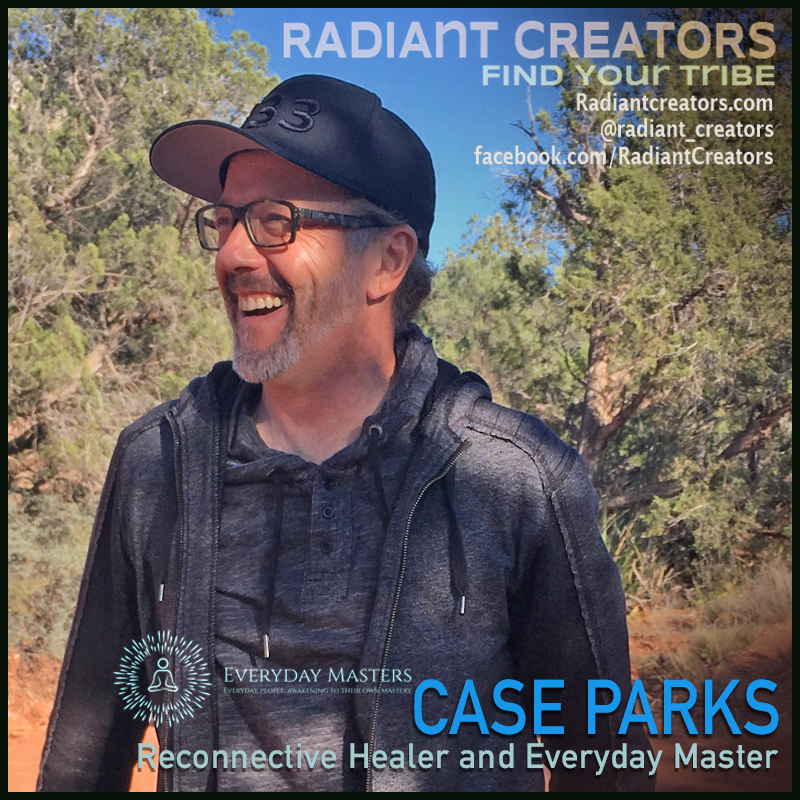 Case is best known for his YouTube channel Everyday Masters where with an alluring mix of wisdom and humor, speaks on various mind-expanding subjects such as reconnective healing, the existence of higher self, and what it’s like to live within the 5th dimension. Case was a living embodiment of a magical life from the very first moment we met him. We watched in awe as he rolled effortlessly into a parking spot that seemed to appear out of nowhere in the crowded lot of a major tourist destination. While conducting the interview, we were interrupted by a wandering tourist who walked right between us and the camera. He seemed drawn to Case and as you can hear in this video, says to us, “You have the most interesting conversations”. 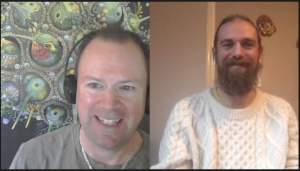 We all agreed that this random stranger, captivated by the amazing energy of this interview, was meant to be included, so we made no attempt to edit him out. Case, welcome to Radiant Creators! The Mandela Effect “You can’t handle the Truth”, or can you? Love train or Fear train? Choose now! They’re speeding up! 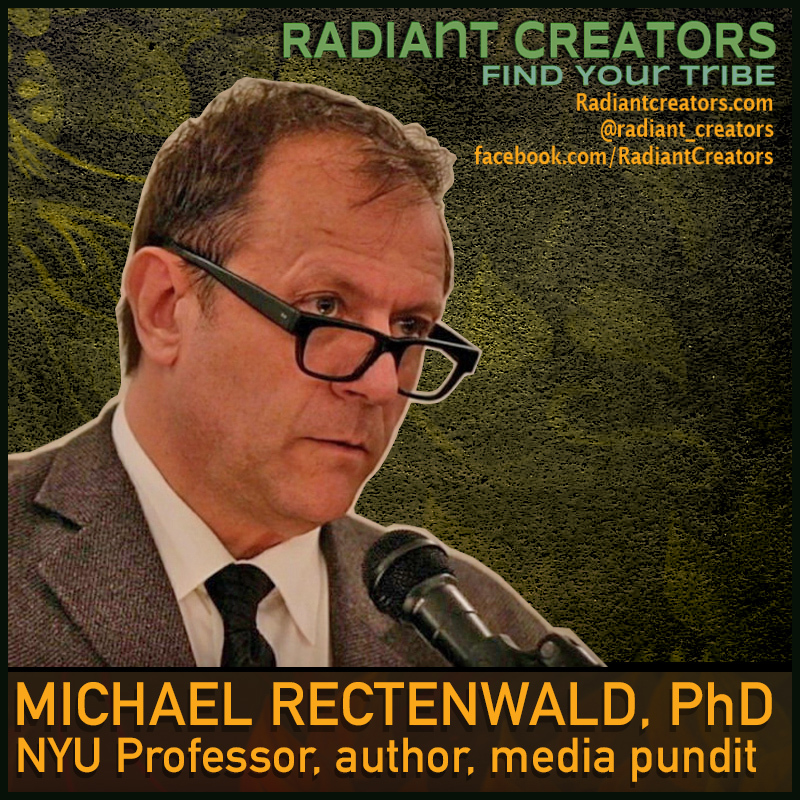 Michael Rectenwald, Ph.D., is a professor of Liberal Studies at New York University, where he teaches writing and cultural history. He received a B.A. in English from the University of Pittsburgh, an M.A. from Case Western Reserve University, and a Ph.D. in Literary and Cultural Studies from Carnegie Mellon University. At age twenty, Michael was an apprentice poet to Allen Ginsberg at the Jack Kerouac School of Disembodied Poetics, at Naropa Institute in Boulder, Colorado. Springtime for Snowflakes: ‘Social Justice’ and Its Postmodern Parentage is a daring and candid memoir. NYU Professor Michael Rectenwald – the notorious @AntiPCNYUProf – illuminates the obscurity of postmodern theory to track down the ideas and beliefs that spawned the contemporary social justice creed and movement. In fast-paced creative non-fiction, Rectenwald begins by recounting how his Twitter capers and media exposure met with the swift and punitive response of NYU administrators and fellow faculty members. The author explains his evolving political perspective and his growing consternation with social justice developments while panning the treatment he received from academic colleagues and the political left. 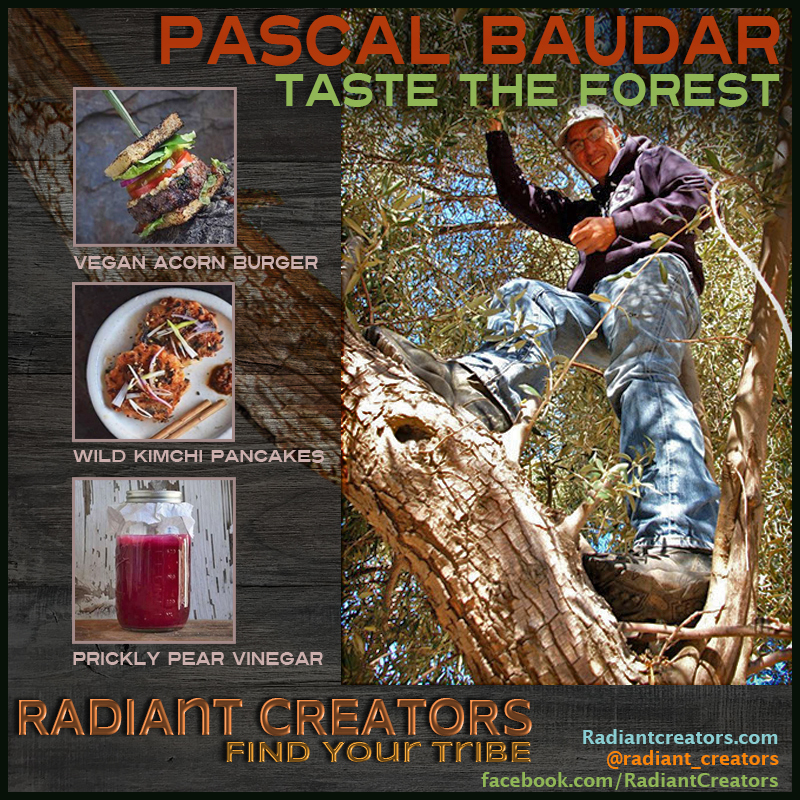 Pascal Baudar is a writer, naturalist and a self-styled “culinary alchemist” based in Los Angeles. 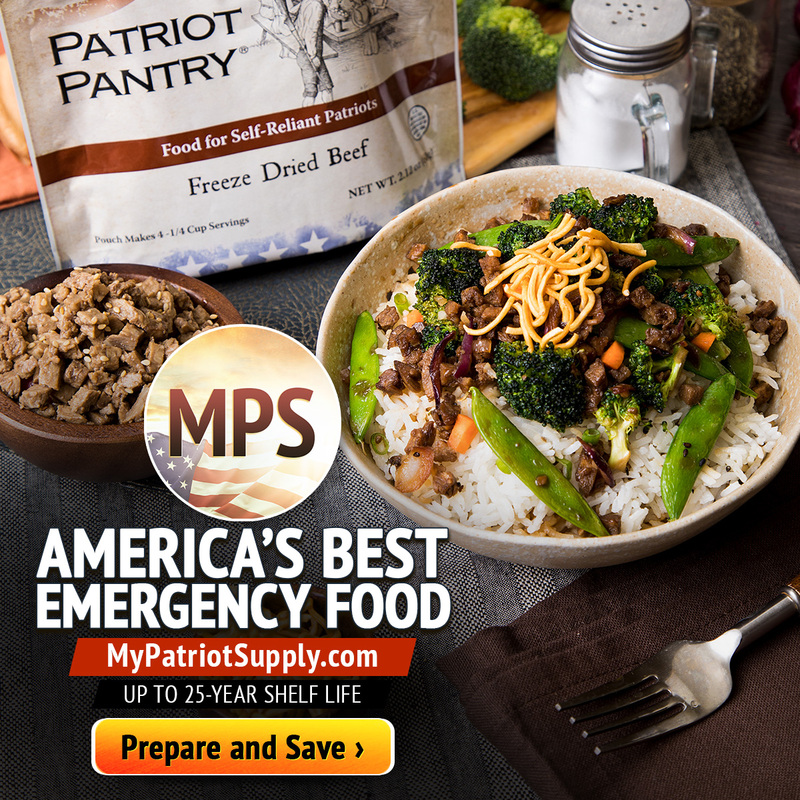 His passion is to study wild edibles and research new culinary uses through ancient and traditional methods of food preservation as well as contemporary cooking techniques. He has served as a wild food consultant for several TV shows including MasterChef and Top Chef Duels. He has been featured in numerous TV shows and publications, including Time magazine, the Los Angeles Times, L.A. Weekly, and the New York Times. In 2014, he was named one of the 25 most influential tastemakers in L.A. by Los Angeles magazine and in 2017 as offering one of the most innovative culinary classes. Pascal has written two books: The New Wildcrafted Cuisine and The Wildcrafting Brewer. Both books are Amazon bestsellers in several categories. Focusing on writing and education, his next books projects are related to lacto-fermentation of wild edibles using local bacteria and another book about creating a cuisine around the most invasive plants in North America. 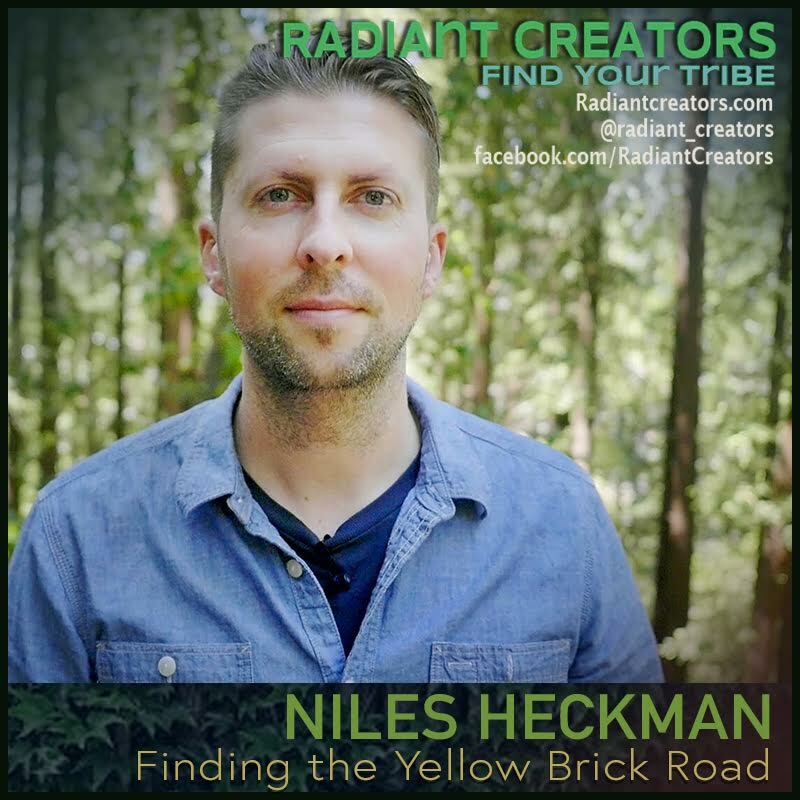 His philosophy is that conscious wildcrafting should be able to help the environment. His classes and workshops are not limited to California and have been offered in many other states (Arizona, Utah, Vermont, Washington, Oregon) and abroad (Belgium, France). Contact him if your institution is interested.